Musicians that don’t live together can still play together. Check out the symphony by Chip Michael. How do you get musicians to play a symphony when they don’t live together? Transferrable skills: from music to ? Four years ago, Anne Ku faced the daunting task of getting 40 musicians to play her music. She learned that those skills are transferrable. 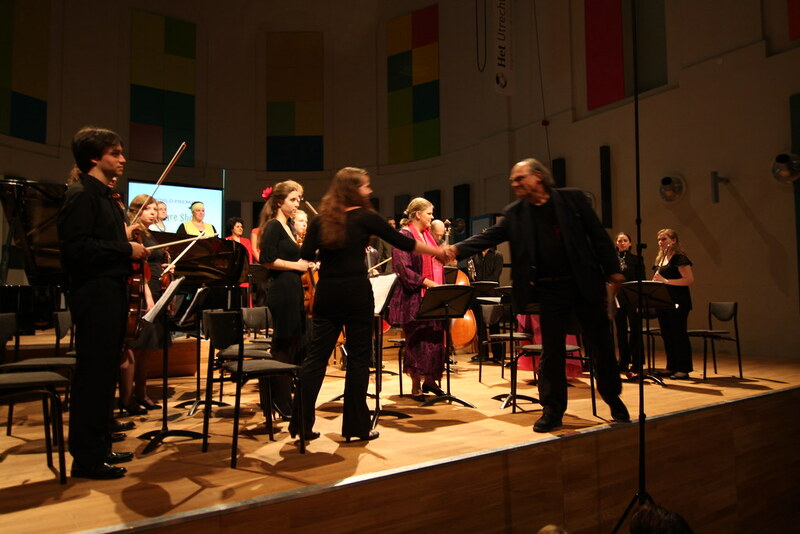 The task of recruiting musicians to study my music and perform (or rather, premiere) it for the first time and only once — without compensation — was a daunting one. It would have been easiest to have just one performer play my music. And that performer could be me. After all, I know my own music. I wouldn’t need to find other musicians, convince them to rehearse, and take the risk of playing music that’s never been performed or heard before. And to play it just once? After all that studying? Next easiest would be to write music for a duo or a limited number of players. Why did I challenge myself with producing a half-hour-long opera with a sizable ensemble, choir, and soloists? There had to be separate rehearsals with the choir. This was not the path of least resistance. Where could I find these musicians? Ask their teachers? Approach them one at a time? How would I get musicians to do it? I asked other composition students. How did they do it? Nobody had written a chamber opera with so many performers before. Orchestra yes. But not opera. What I learned from those months from February to June 2008 was how to produce a concert with no budget. What was involved? It was a collaborative effort. Thinking back, these skills are transferrable, for now I am managing an expanding team of volunteers. I am not paying them. They are not paying me. But we all work to the same goal. Author BLOGmaidenPosted on February 8, 2012 February 8, 2012 Categories audience, composer, composition, concert, fundraising, instrument, photos, planning, recording, rehearsal, research, review, sheet music, sponsorship, videoTags concert production, Henk Alkema, musicians, Netherlands, opera, rehearsals, Utrecht, Utrecht Conservatory, volunteersLeave a comment on Transferrable skills: from music to ? People go to concerts for all sorts of reasons. The trick is to find the reasons and then they will go to your concert. One of the worries a seller has is how to get buyers to want your stuff. The things you sell may bear history and laden with value to yourself, but they are absolutely meaningless to a stranger. Similarly, musicians and concert producers love their music. They too worry whether enough people will show up. How do they get people to come to a concert? Posters and invitations may not suffice. 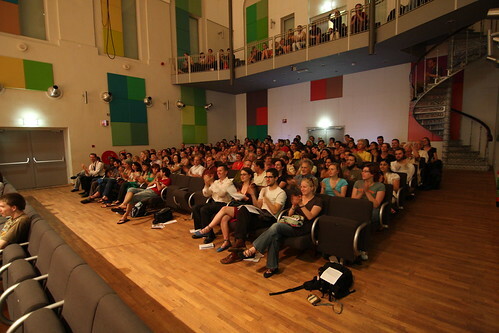 Audience development means getting people to come to an event. It’s also about creating demand. There are many alternative ways to spend a Saturday evening in a big city. How do you get someone to choose you over other possibilities? How is this similar to a garage sale? I spoke to a lady at a yard sale today about how I managed to get rid of my things to free myself to leave London for the Netherlands. I held an Open House, baked cakes and cookies, and invited my neighbours and friends to visit. All four rooms (living room, dining room, bedroom, and study) were filled with things I wanted to sell. One man’s medicine is another man’s poison. One man’s junk is another man’s treasure. Nobody wanted to buy my flowery summer dresses or conservative business suits. I had to think of innovative ways to get rid of my stuff. Spend at least 5 pounds and get the solar calculator for free. The solar calculator and various knick knacks were giveaways at the conferences I attended. I didn’t care about the calculator at all. I did not know that this offer was attractive until I spotted a bassoonist selecting various paperback books to get the 5 pound total. He got his solar calculator. My friend, the late London-based architect Ayyub Malik desperately wanted a piece of cake. I told him he had to buy something first. There was nothing he wanted except for a piece of cake. I encouraged him to buy an umbrella that he might need (in case his broke). He got his cake. How do you get people to want something? How do you get people to buy what they do not need? Or what they do not realise that they need or want? The answer: find out what they really want. People go to concerts for all sorts of reasons. The trick is to find and give reasons for people to come to your concert. A lot of useful information such as job opportunities don’t get printed or published. Such opportunities are not disseminated in the usual way. You can get involved and hop on the grapevine of word-of-mouth. In my previous blog post, I mentioned yard sales as a way to get local knowledge and shopping tips. You’re unlikely to get such advice at department stores or public shopping places. Similarly, at house concerts, you can more easily acquire information by asking than at a large public concert venue where it’s harder to make conversation (to strangers). If you don’t know anybody before you arrive, how will you get assistance? Check into a hotel with a knowledgeable and reliable concierge? Stay at a bed and breakfast and ask the owner? Stay at a youth hostel and ask other guests? Get a job. Any job. Temporary or not. Part time or full time. As fast as possible. In other words, get involved. Get affiliated! This is one reason musicians sometimes get gigs that pay below their normal rates because they also get side benefits such as personal contacts and useful information. My instrumentalist classmates from conservatory have played in orchestras not just for the experience but also to get on the grapevine. Gossip about conductors, new ensembles, projects in the pipeline, … in short, work opportunities, often flow, unprinted and unpublished, by word of mouth. My dear musicians, we can’t expect to be invited to perform or get discovered if we stay at home practising all day! Yoga is an ancient practice which helps the practitioner achieve balance, flexibility, and focus. I was happy to read that yoga improves memory and concentration. Surely all musicians should take up yoga for that reason! I knew several people who did yoga locally. It was time to put my ideas into action. No longer the big, sold-out concerts of the Monument House — but an intimate 1.5 hour session of yoga followed by vegetarian dinner —- just a handful of people, that’s all we had room for. Small is beautiful. Musicians spend a lot of time alone. We need to be alone to study new repertoire, practise, and perfect our art. We need to focus and concentrate to excel at what we do. Yoga is an ancient practice which helps the practitioner achieve balance, flexibility, and focus. I was happy to read that yoga improves memory and concentration. Surely all musicians should take up yoga for that reason! Here’s another article about the power of yoga, especially for musicians: “Play at your peak,” by Stephen Cope. After reading this, I’m convinced that conservatories should offer yoga classes (not just Alexander Technique). I first became aware of the existence of yoga by my late grandfather whose calligraphy hangs in my living room. A quiet man who looked younger than his age with his elegant posture and straight back, my grandfather gave me a Chinese book about breathing and postures when I was a teenager. The ideas in the book did not click until I started doing yoga on a regular basis. On Saturday 19th June 2010, I invited the Dutch life coach Henk Fransen and his Indian friend and yoga master Krishna Bijalwan to our piano guitar duo morning concert in Zoetemeer. 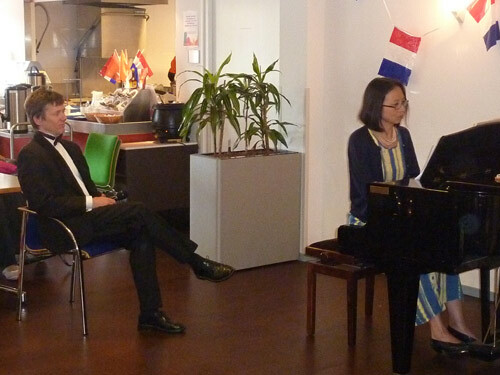 Afterwards, just before noon, we brought them to our Chinese/Dutch friends’ home in Nootdorp for a barbecue lunch. After watching the Holland vs Japan world cup game, Henk and Krishna came to our monument house for a special yoga session. I had always wanted to do yoga on our oak parquet floor which has floor heating in the winter. I had mentioned this to one or two members of my yoga class at the local sports club where I belong. It remained a dream for several years until I met Henk who told me about Krishna’s visit to the Netherlands. I knew several people who did yoga locally. It was time to put my ideas into action. No longer the big, sold-out concerts of the Monument House — but an intimate 1.5 hour session of yoga followed by vegetarian dinner —- just a handful of people, that’s all we had room for. Small is beautiful.